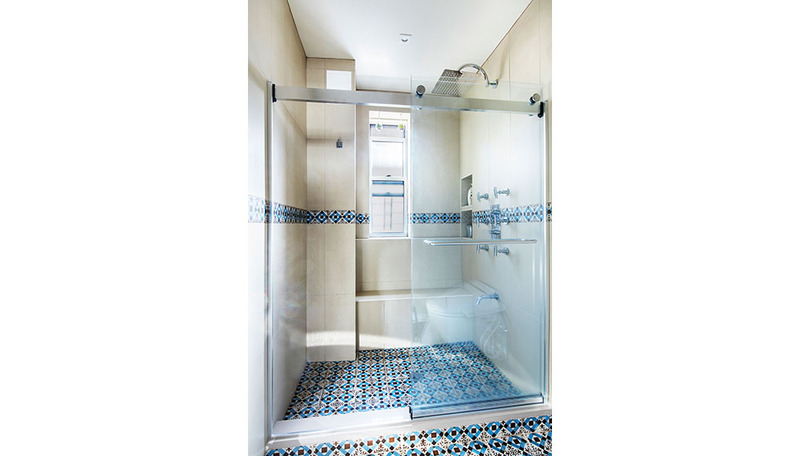 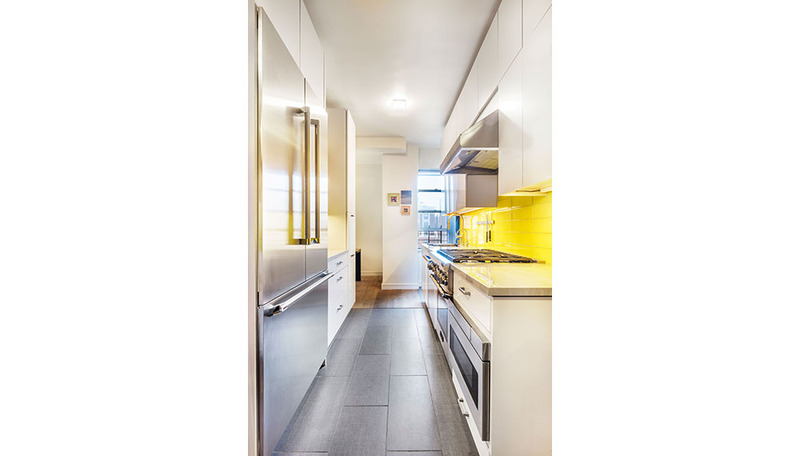 The project involves the gut renovation of an apartment on the Upper West Side, Manhattan, NY. 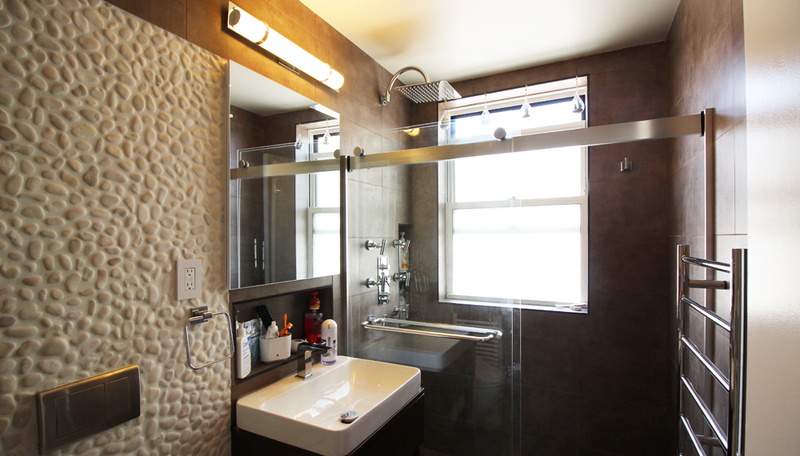 The existing space was redesigned to accommodate a three bedroom two bath apartment with a master bedroom and en suite master bath, kids room and guest room. 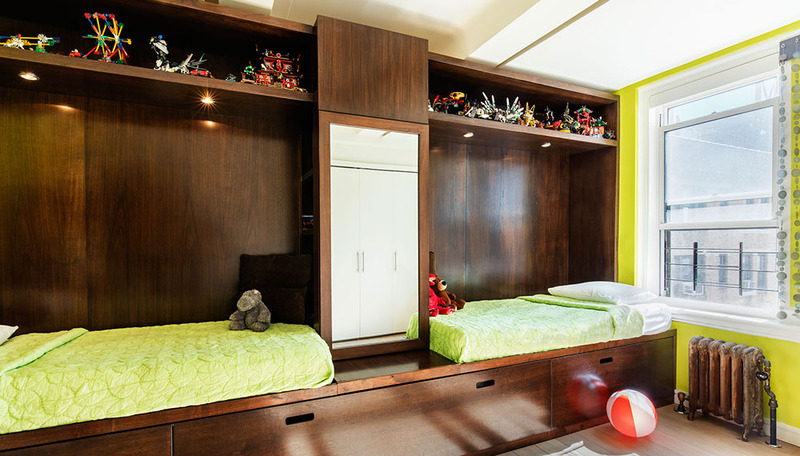 All millwork was custom designed and fabricated including the kids bed, bedroom cabinets, desk and kitchen millwork. 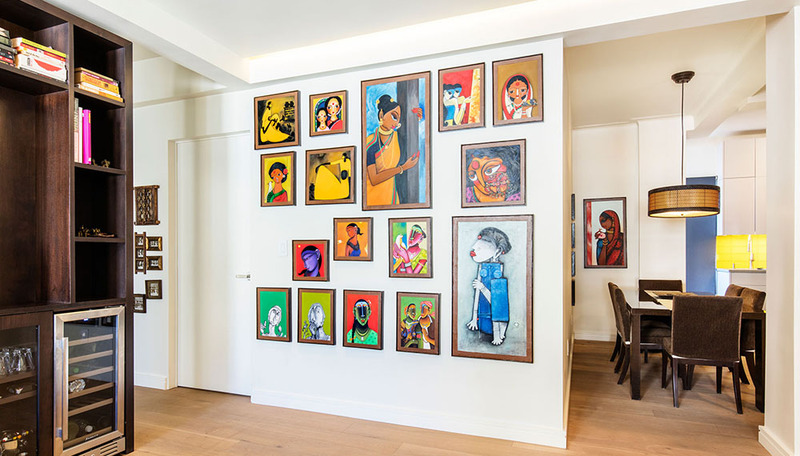 A floating millwork piece separates the living area from the hallway to the bedroom. 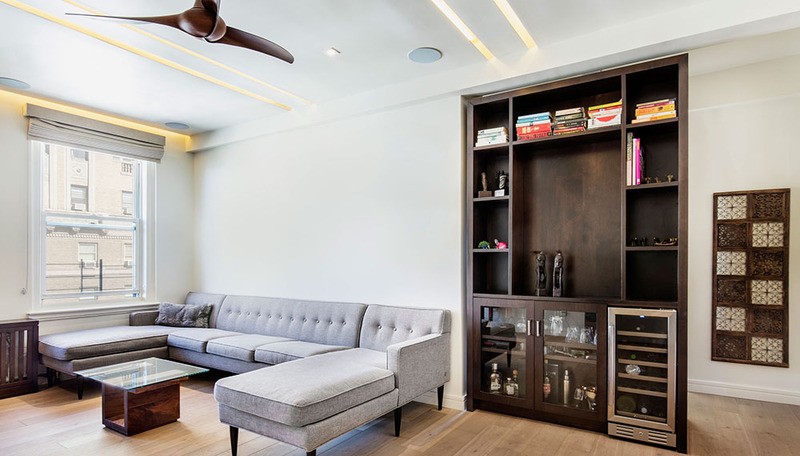 This piece functions as a shelving unit with a wine cooler on one side and storage cabinets on the other side. 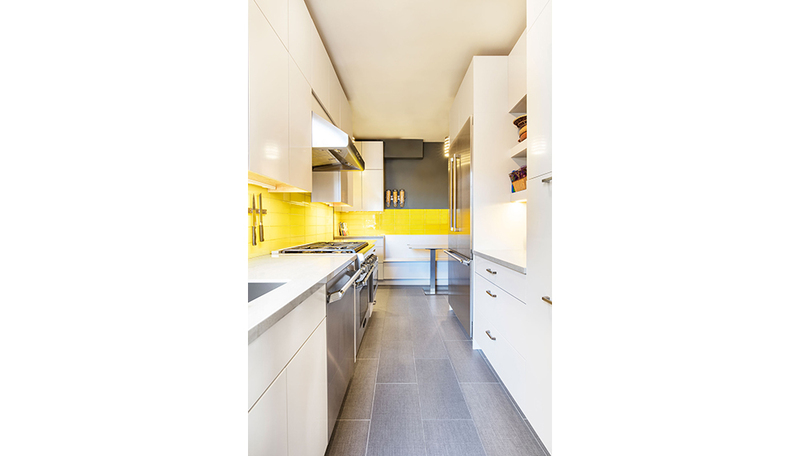 The refurbished kitchen includes yellow glass tiles, new appliances and a breakfast nook with a bench and table.